The prerequisite for high quality injection molding components is a perfect injection molding tool. 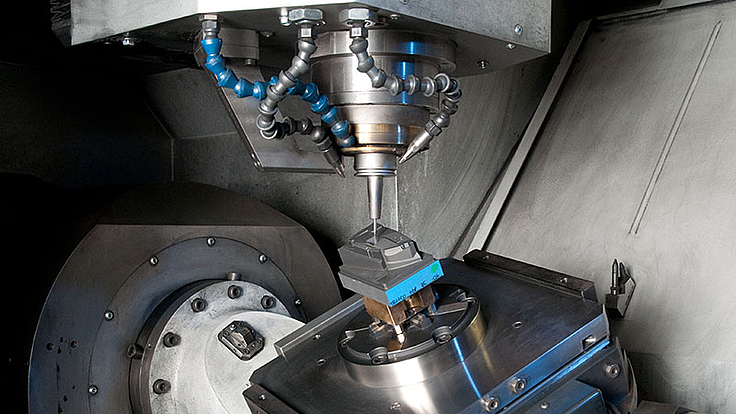 Our mold construction department produces over 150 mass- and pre-production tools annually. 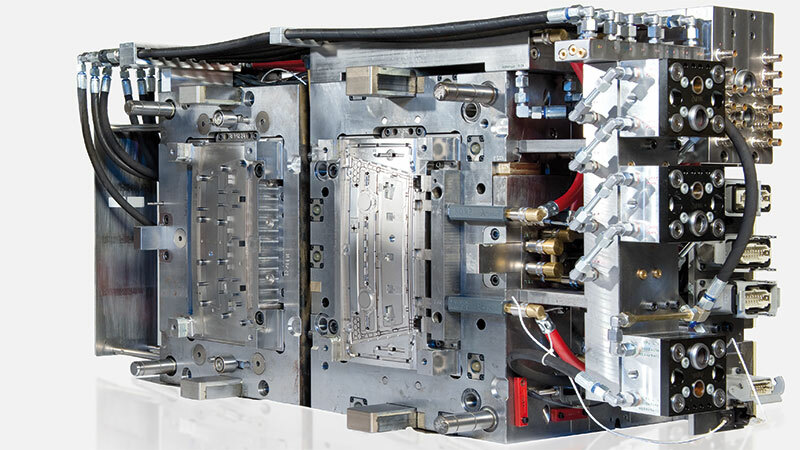 In addition, stamping and forming tools are developed for the In-mold-labelling process. Air conditioning and equipment provide the technical prerequisites for a high-precision processing with tolerances in hundredths of a millimeter. For a chic foil surface with a functional casing from two components: Here the mold half of a five ton 2C heavy foil tool in which the gating and ejection takes place. With our 50 employees we operate as a separate profit center. Our success is illustrated by our first participation in the Excellence in Production (EiP) competition in which we immediately got through to the circle of finalists. Trainees are the future of a company: Every year 25 young people train for the challenging occupation of tool maker for plastics and rubber technology in our modern training centre. 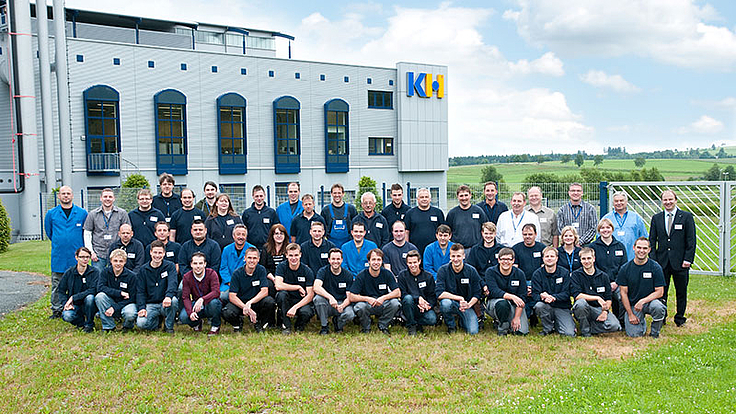 The quality of our training has been awarded on several occasions by the GKV.